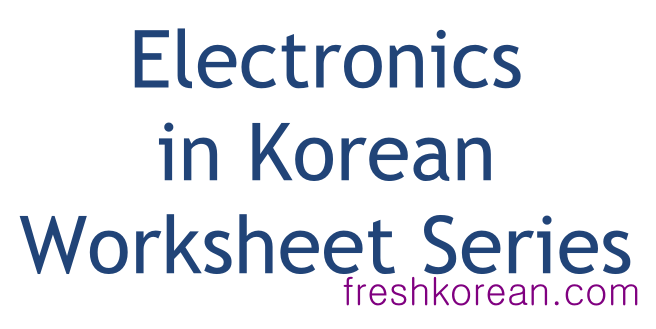 This is part one of a new mini-series looking at different Electronics in Korean. 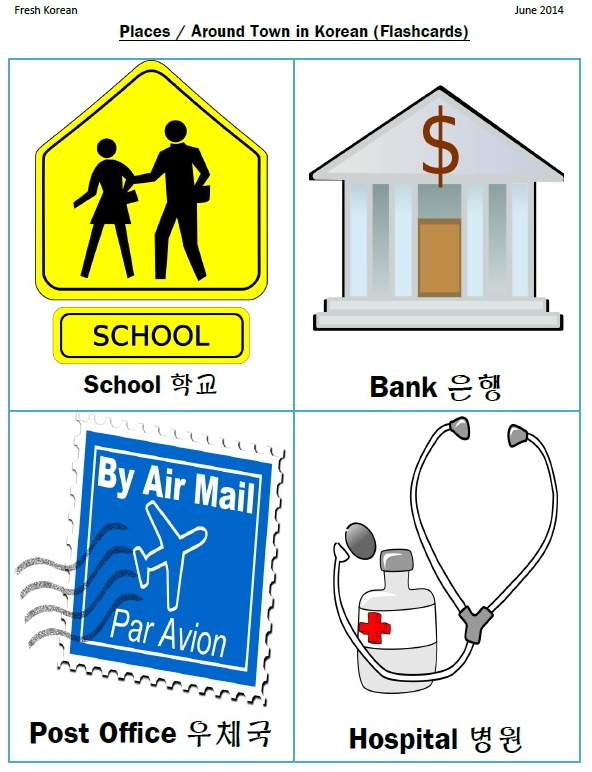 This series is aimed towards early learners or Korean Language beginners. 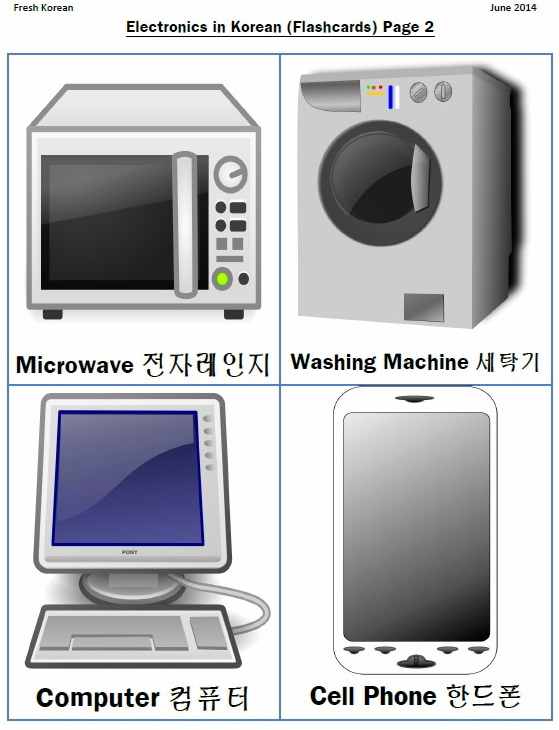 Part 1 is a set of flashcards featuring 8 different Electronic Items. 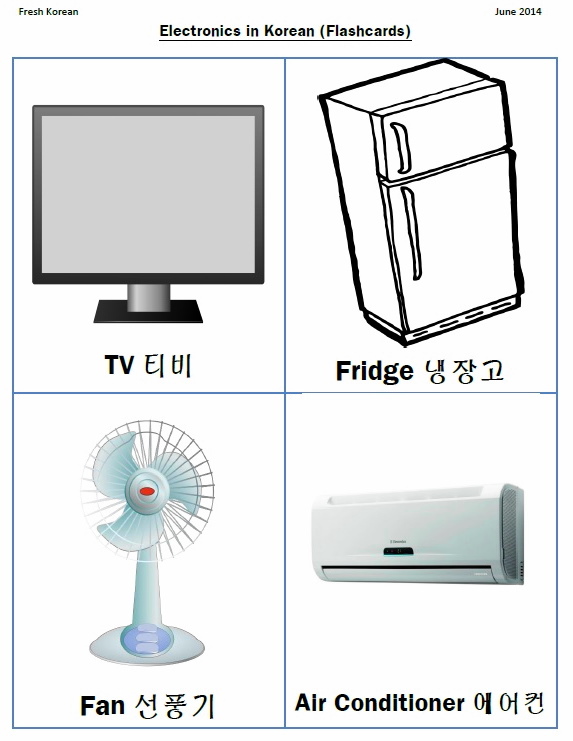 Learning these different Electronics can be useful when shopping or in general conversation. 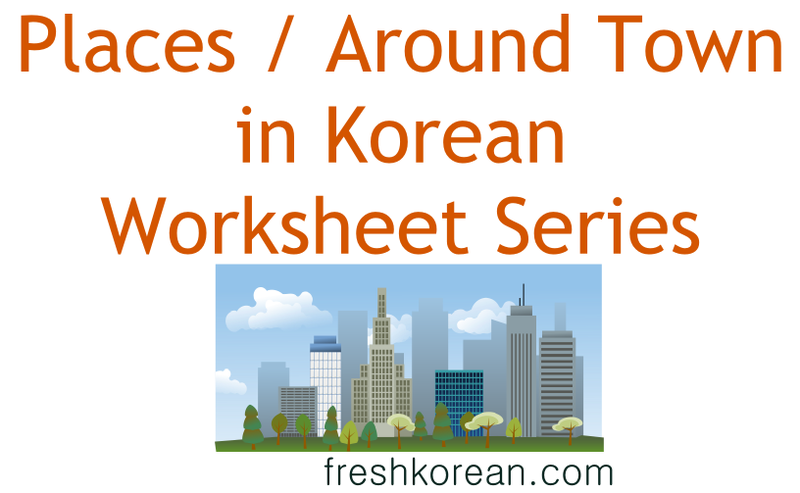 This is part one of a new mini-series looking at different Places / Around Town locations in Korean. 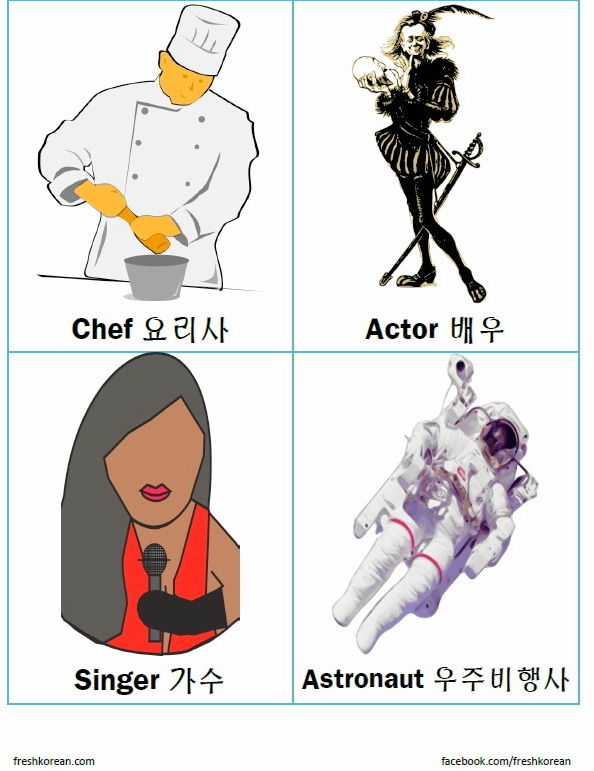 This series is aimed towards early learners or Korean Language beginners. 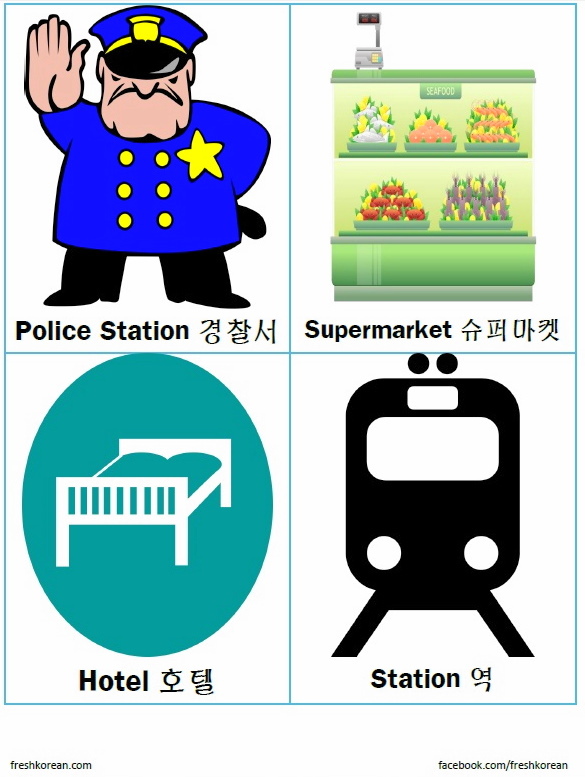 Part 1 is a set of flashcards featuring 8 different Places Around Town. 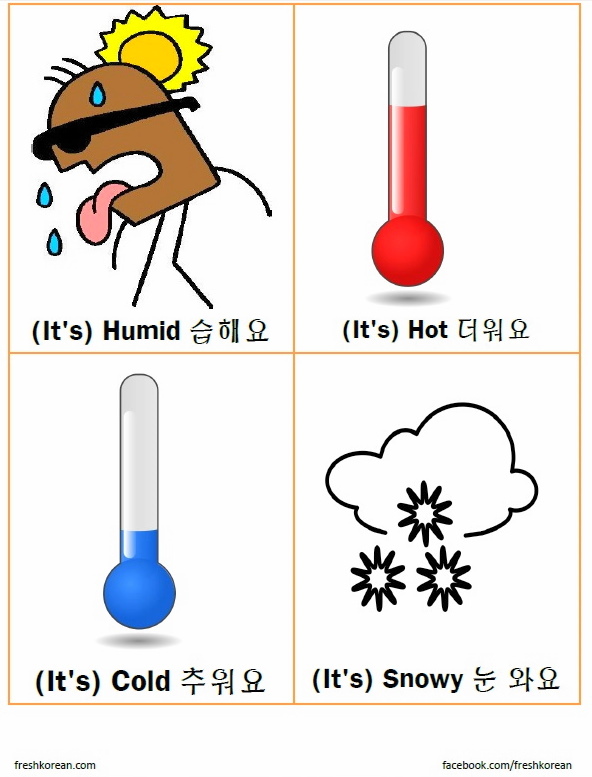 Learning some different places can be very useful when asking for help or when lost or just in general Korean conversation. 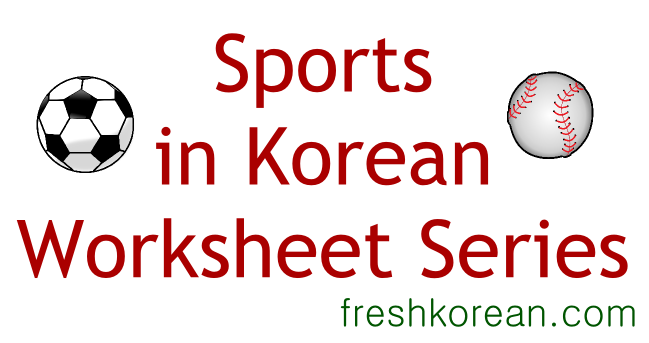 This is part one of a new mini-series looking at different Sports in Korean. 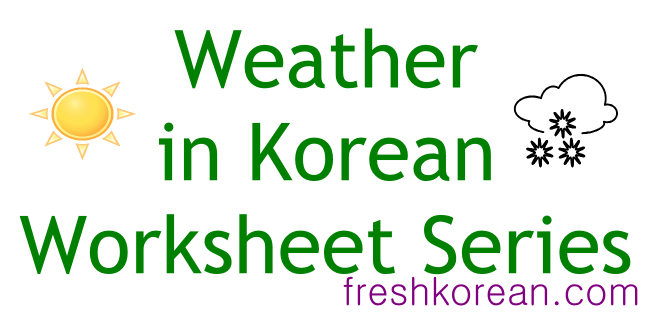 This series is aimed towards early learners or Korean Language beginners. 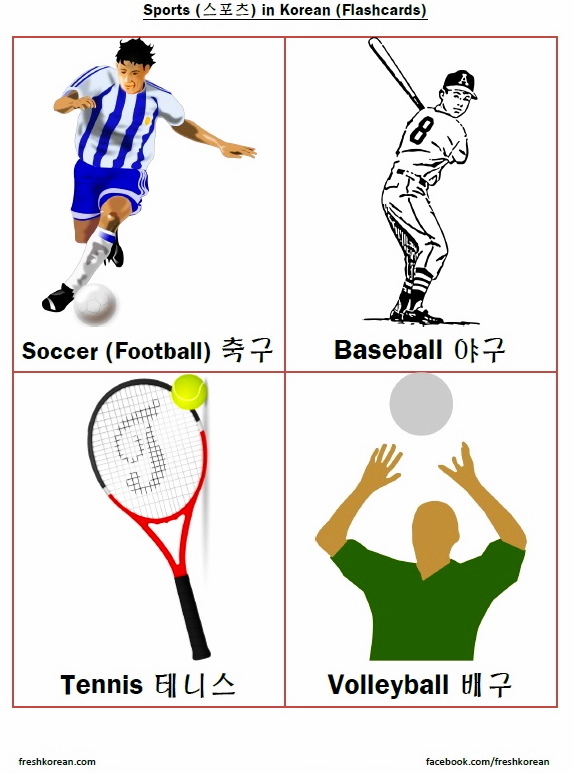 Part 1 is a set of flashcards featuring 8 different sports. Learning some different sports can be useful when talking with friends and discussing favorites. 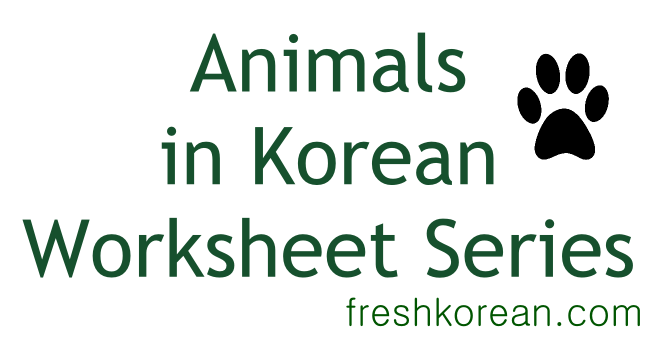 This is part one of a new mini-series looking at different Animals in Korean. 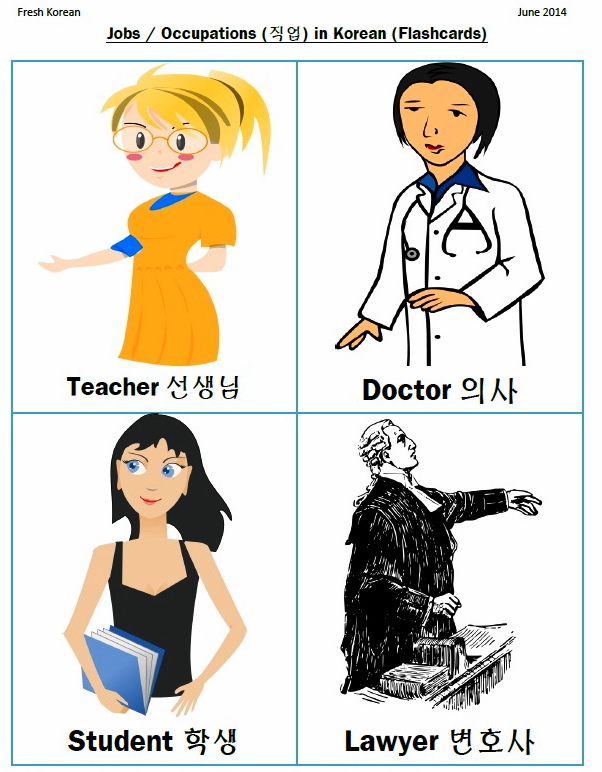 This series is aimed towards early learners or Korean Language beginners. 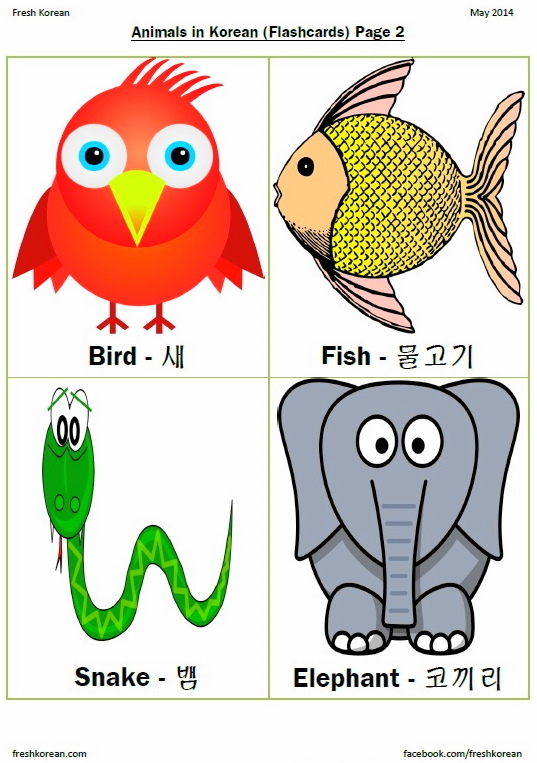 Part 1 is a set of flashcards featuring 8 different animals. 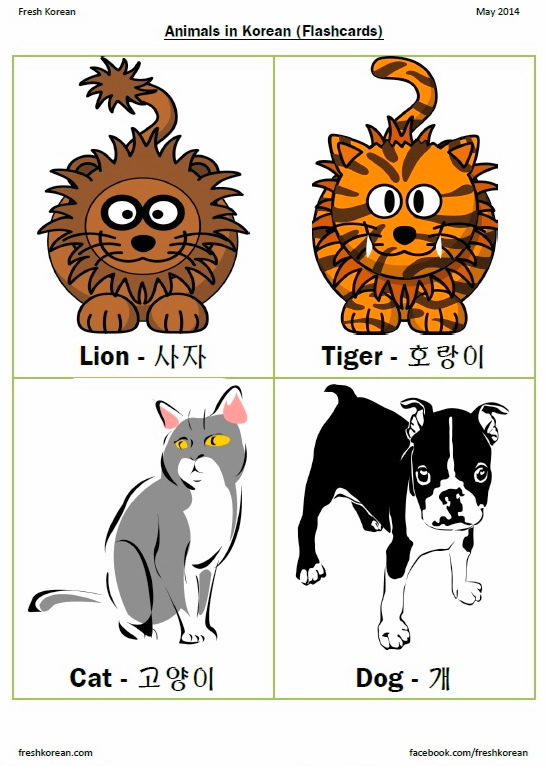 Learning the different animals might not help in the day to day world much but it’s useful when building vocabulary and practicing reading. 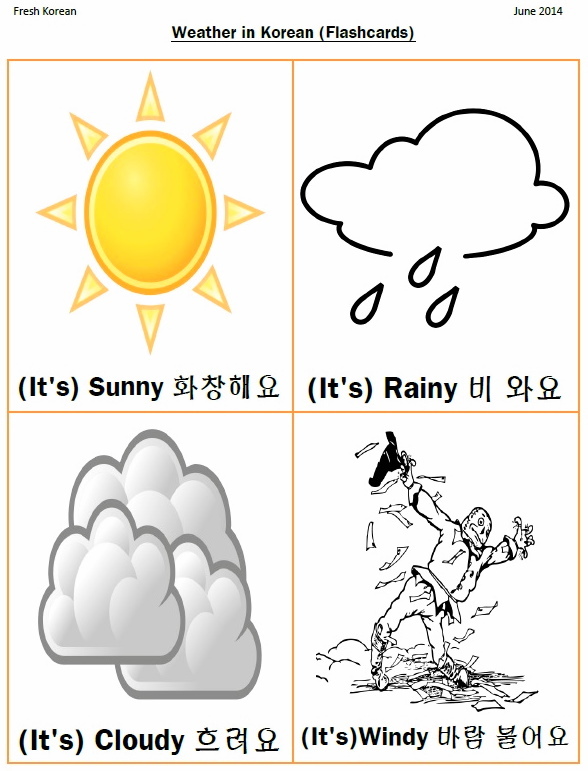 Part 2 “Writing” and Part 3 “Practice Worksheet“.